Nike Basketball 3ON3 Tournament is for all kinds of players! Nike Basketball 3ON3 Tournament will take place on August 4-6, 2017 on the streets of Downtown Los Angeles at L.A. LIVE! Nike 3ON3 is home to every kind of “baller” there is: short, tall, college standout, recreational league champion, intramural player, gym rat, AAU or YMCA participant. Even if you haven’t touched a ball in years, we still want you to play. Rip City 3 on 3 is the premiere 3 on 3 event in Oregon and one of the best tournaments in the Pacific Northwest. Held at the Rose Quarter, home of the Portland Trail Blazers, Rip City 3 on 3 is a true family affair with something for everyone. Benefitting Special Olympics Oregon, the 2017 Rip City 3 on 3 will take place on July 29 & 30 in the beautiful sunshine of Portland, OR. 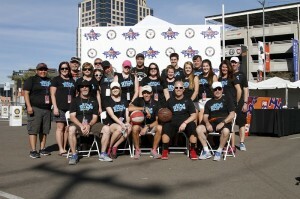 PHX3on3 is held on the streets of downtown Phoenix, AZ. An all-ages, all-abilities tournament, PHX3on3 is a true community event bringing together people of all walks of life in the spirit of competition and fun. The 2017 event was held on April 29 & 30. Dew NBA 3X is an elite 3×3 basketball competition infused with unique basketball lifestyle and entertainment elements. The inaugural U.S. tour will visit basketball fans in Atlanta, Miami, Dallas, Chicago, Houston and Los Angeles. 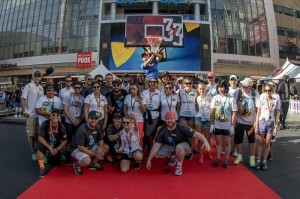 The invite-only competition tipped off Saturday, May 21 in Atlanta and culminated on Sunday, October 23 in Los Angeles with the Dew NBA 3X National Finals. Eventuris manages tournament gameplay for the Dew NBA 3X and is proud to be part of this outstanding tour. Stay tuned for 2017 tour details. We partnered with EEG to produce this exciting one-day tournament in Scottsdale, AZ during the 2017 Final Four weekend. The region’s best elite 3on3 teams converged on E. Indian Plaza for a day filled with great hoops action and a true basketball party!! It's a silly little movie reference with a pretty powerful meaning. It says that we don't do things like the other guys. We do things a little better. We go harder and louder...simply because we can. Eventuris is a "special" special events company. We work hard to create spectacular moments; the world’s most memorable 3on3 basketball tournaments. What can we create with you? World-class events do not happen without great leadership and an inspired team of dedicated and talented experts. Eventuris has both. We hand pick individuals and coordinate with our partners to assemble the most capable operational teams for each unique event. Rick is the former Executive Director of Spokane Hoopfest, which held the largest 3on3 tournament ever in 2012, with 7,090 teams and 27,865 players. 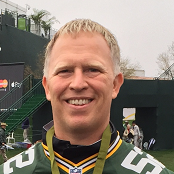 Rick is a graduate of Michigan State University and a CPA-Inactive. 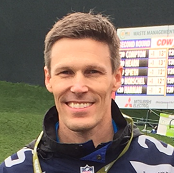 Aaron is a former Operations Manager of Spokane Hoopfest where he managed the logistics strategy for this world-class event. Aaron is a graduate of University of Washington, with a degree in Design & Planning Studies. When AEG decided to create a 30N3 basketball tournament at L.A. LIVE, we sought out the most renowned grassroots basketball organizers and operators in the United States. This group included Rick Steltenpohl as the Event Director and Aaron Magner as the Site Manager. I’m pleased to say the Nike Basketball 30N3 Tournament at L.A. LIVE is doing very well! Entering its seventh year, we’re thrilled to partner with Eventuris for the continued cultivation, expansion, and innovation of our event. Eventuris is excited about events. We feel their energy and commitment to us. Their desire to take that next step into the unknown is intriguing, and their passion for excellence is unsurpassed. AEG has high expectations within our organization and from our outside relationships. We require precision, professionalism, creativity, and loyalty. We get that from Eventuris, plus a whole lot more. We trust Eventuris. We like Eventuris. We will build the Nike 30N3 tournament with Eventuris. AEG operates facilities throughout the country and around the world. As we consider building new grassroots and community events, whether they are 30N3 basketball tournaments or any other new activity, we look forward to speaking with Eventuris about organizing them with us. My name is Dan Rogers and I am a Director of Client Services and Creative at Wasserman. I am writing to recommend Eventuris as an incredible partner in overall event management. We are currently collaborating with the Eventuris team on the DewNBA3X Tour, which is a 6 city, 6 event 3 vs. 3 basketball tournament sponsored by the NBA and Mountain Dew. With the large-scale nature of each event (and countless ancillary activations and elements to manage), we were looking for a partner who could handle all tournament operations and remove that large undertaking from our plate. The Eventuris team has accomplished that and more, while proving to be completely self-sufficient and executing flawless tournaments. Rick, Aaron and the rest of the team have gone above and beyond, and given us peace of mind at every event that the most important part of the experience will run seamlessly. The team is incredibly professional, organized, solutions-oriented, and extremely knowledgeable about the game. We are looking forward to continuing our partnership with Eventuris on future projects and feel that they would be a great asset to any relevant opportunities in event management. I am writing to recommend the services of Eventuris. We held our first­ ever Rip City 3-on-3 Tournament here at the Rose Quarter in Portland in August, 2014 and it was an absolute success. Given Rick Steltenpohl and Aaron Magner’s vast experience running basketball 3 on 3 tournaments, we knew tapping into their accomplished background was the best way to create an outstanding first impression for our first-time tournament athletes. Rick and Aaron helped us create an event that had a quality level above and beyond anything that had been done here in the past. It also made an impression with the local grassroots basketball associations, local media and Trail Blazers fans . This impression gives us a fantastic foundation from which to build this event going forward. I’m happy to recommend the services of Eventuris. I think Rick and Aaron are two of the best basketball tournament organizers in the nation. If you have any questions, feel free to contact me .